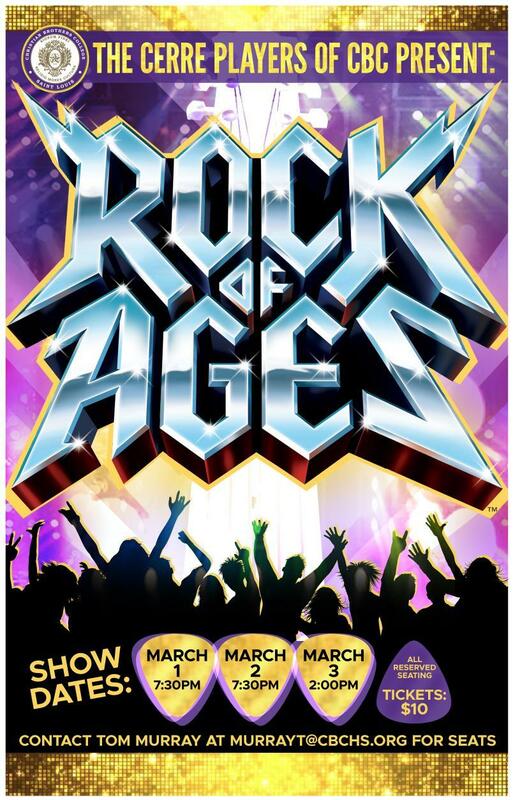 The Cerre Players present Rock of Ages s March 1-3 in the Gundaker Theatre! Our annual Dinner Theater fundraiser will be held before the Saturday, March 2nd, performance. Enjoy dinner and a show for just $50 - click the link below to reserve your spot!